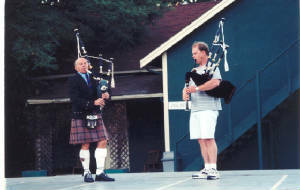 James Barrie, Principal: Jim was taught bagpipes by his father, William Barrie, a pupil of the renowned pipers John MacDougall Gillies and Robert Reid. He is an authority in the Cameron style of piobaireachd. Jim was playing at a professional level by the age of 13, and in addition to being a successful competitor, went on to produce and record piping, dance and folk music. His compositions have been widely played, and appear in his recently published book. He is a sought-after adjudicator and teacher, and has a long association with WAPM. Matt Turnbull: Matt is a protege of Willie Connell, another expert in Cameron style piobaireachd, and has also received instruction from many other piping "greats." He has won solo awards at all the major venues both here and abroad. Matt is also a Highland Dance piper, and was once a champion Highland dancer himself. Students from last year's school will remember Matt as one of the judges for the Seaforth Cup Challenge. 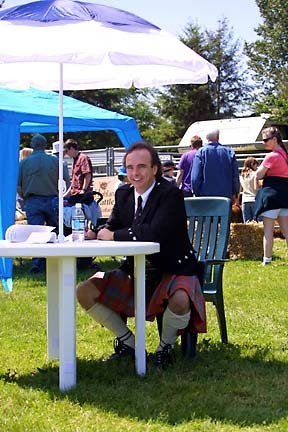 P/M Dr. Gordon Pollock: Gordon is the Pipe Major of the Cowichan Pipes and Drums, and a former member of the world-class City of Victoria Pipe Band. He is a veritable techno-whiz and will share his knowledge about working with Bagpipe Writer, and other techno secrets, with his students. 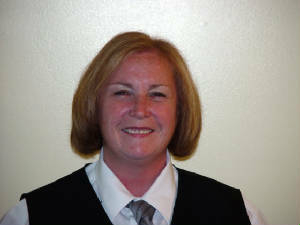 Kimberly Smith-Jones: We are so fortunate that Kim has moved to Vancouver Island from the mainland. 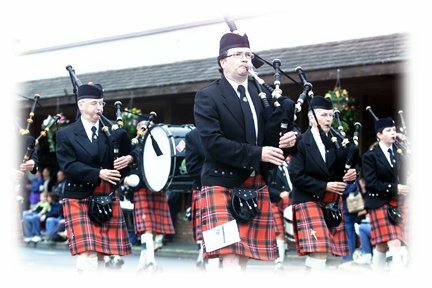 Kim is a valued member of the Grade 2 Maple Ridge Pipe Band, past president of the BC Pipers Association and a successful competitive piper at the professional level. She has extensive experience teaching pipers. Her enthusiasm for the music is infectious, and she has a talent for finding the best in her pupils. John Fisher: A North American drumming champion, John returns once again to Queen Margaret's School, Duncan BC. Last year's survey sheets showed that students had requested additional instruction from John Fisher. We are excited to have him as Chief Drumming Instructor at this year's Summer School. 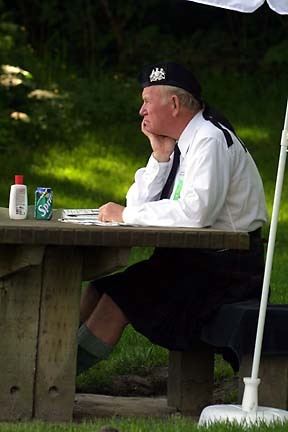 In 2003, he led the 78th Frasers drum corps at the World Pipe Band Championships. He has over 25 years experience as a drummer, performer and teacher and enjoys an international reputation as a master of technique. His talents do not stop at pipe band drumming and he performed for several years as a session drummer in California and Canada. John Fisher has something to offer all drummers.